Designed and taught by emergency physicians and medical malpractice attorneys, this HREM course is a comprehensive review of the medical-legal issues inherent to the practice of Emergency Medicine. Using actual case analysis and a review of the medical literature, this CME course identifies the critical components of the history, physical exam and data collection process that are critical to assuring a well-supported evaluation, treatment and disposition. Important principles in communication, documentation, medical-legal strategies and EMTALA compliance are discussed to help participants develop an effective Emergency Department Risk Management Program. The Thirtieth Annual Edition of this emergency medicine CME course has been revised to include the most recent, relevant literature, malpractice and EMTALA cases. Participants will also receive a comprehensive Risk Management syllabus and annotated bibliography that features practical management recommendations for reducing risk while providing high quality patient care. Cancellations must be made in writing to CEME at ceme@ceme.org. Refunds, less a $50 processing fee, are provided if cancellation occurs prior to the start of the course. Review current medical literature and analyze actual emergency medicine malpractice cases to improve patient outcomes and avoid malpractice claims. Identify the critical components of the history, physical exam and data collection process that are critical to assuring a well-supported evaluation, treatment and disposition of Emergency Department patients. Develop an effective Emergency Department Risk Management program. ROSS P. BERKELEY, MD, FACEP, FAAEM - Course Directoris a Senior Director of Quality for US Acute Care Solutions (USACS), and serves on the Board of Directors for Physicians Specialty Limited Risk Retention Group (PSLRRG). He is a professor in the Department of Emergency Medicine at the University of Nevada, Las Vegas (UNLV) School of Medicine, where he serves as Program Director of the emergency medicine residency and Vice Chair for Quality & Education. Dr. Berkeley is an expert peer reviewer for the Nevada State Board of Medical Examiners, and serves on the Claims Committee for USACS as well as the Claims and Underwriting Committee for ProAssurance Casualty Company. He has served as the Quality Director of emergency departments in both community and academic settings, and currently co-chairs the Quality & Patient Safety Committee at University Medical Center (UMC) of Southern Nevada in Las Vegas, NV. is a frequent speaker on the national and international CME circuit on topics related to emergency cardiology and geriatrics. He is the author of the best-selling texts ECGs for the Emergency Physician Volume 1 and Volume 2, has served as chief editor for two other popular textbooks focused on errors in emergency medicine. In 1996, he joined the faculty of emergency medicine at the University of Maryland, and since that time he has received more than a dozen teaching awards, including Teacher of the Year from the University of Maryland at Baltimore, and national teaching awards from the American Academy of Emergency Medicine and the American College of Emergency Physicians. is an Associate Professor and Director of Research for the Department of Emergency Medicine at the University of Nevada School of Medicine and practices clinically at University Medical Center of Southern Nevada. He also serves as a Deputy Chief and EMS Medical Director for Las Vegas Fire & Rescue and provides medical oversight for casino AED programs. He currently serves on the National CARES Oversight Board and is an Associate Editor for the Journal of Emergency Medicine. He is a past president of the Nevada Chapter of the American College of Emergency Medicine, is a diplomat of the American Board of Emergency Medicine, ABEM Subspecialty Board Certified in EMS, and a Fellow of the American College of Emergency Medicine. 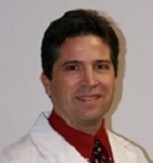 NATHAN CLEVELAND, MD, MS, FACEPis the Director of Education for USACS Colorado Mountain South. 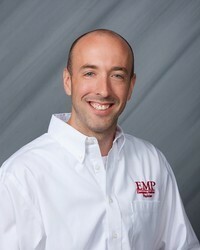 He is a diplomate of the American Board of Emergency Medicine and practices emergency medicine full-time in Denver, CO. He is Dr. Cleveland is also a member of the USACS Quality & Patient Safety Committee, as well as the USACS Claims Committee. is Chief Medical Officer of USACS. 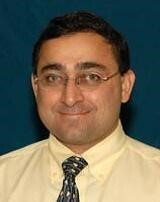 He previously served as Executive Medical Director of CEME. Dr. Aldeen joined USACS in 2014 from Northwestern Memorial Hospital, where he was site principal investigator for the CMS-funded Geriatric Emergency Department Innovations project, developing protocols to improve care of older adults in the ED. He was the recipient of the Northwestern EM faculty teaching award for six years in a row, and the Amer Aldeen Junior Faculty Teaching Award is named after him. Dr. Aldeen is co-author of 1200 Questions to Help You Pass the Emergency Medicine Boards. is a Pediatric Emergency Physician at the Children’s Hospital of Nevada at UMC. 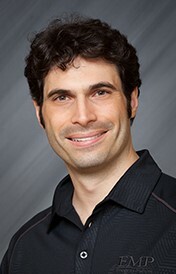 He is an associate professor of emergency medicine as well as the Pediatrics Director for the University of Nevada, Las Vegas (UNLV) School of Medicine emergency medicine residency program. He volunteers for SeriousFun Children’s Network - summer camps for children living with serious illnesses and complex medical conditions. 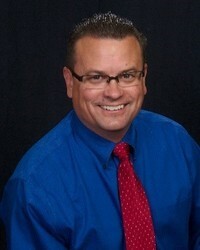 is Vice President for Claims and Risk Management at US Acute Care Solutions. He is responsible for all malpractice litigation defense and works with clinical leadership to drive risk management initiatives throughout the organization with nearly six million patient visits annually. Dusty worked for eight years for Emergency Service Partners, now USACS Southwest, as Associate General Counsel and Director of Risk Management. Under Dusty’s leadership, the company achieved several measures of exceptional performance in claims and risk management, including rates of claims far less than one-half of local benchmarks. Dusty is co-founder of ED CLEAR™, an evidence-based video risk management program. Earlier in his career, he provided malpractice risk management counsel for ProAssurance Corporation, and practiced in litigation with Maynard, Cooper & Gale in Birmingham, Alabama. Ketan Patel is an assistant professor in the UNLV School of Medicine, and is the Associate Program Director for the UNLV emergency medicine residency program. He serves as medical director for the Boulder City Fire Department as well as Lee Canyon Ski Patrol. Dr. Patel also works at Camp Cartwheel, a camp which serves with children with chronic illness through the Nevada Children's Cancer Foundation.